“Childcare Costs and the Demand for Children – Evidence from a Nationwide Reform” (with Eva Mörk and Anna Sjögren) Journal of Population Economics 26: 33-65, 2013. “Women’s Representation and Public Spending”, European Journal of Political Economy 25(2): 186-198, 2009. “Political Rents in a Non-Corrupt Democracy” (with Jonas Vlachos), Journal of Public Economics 93: 355-372, 2009. “Do Entrenched CEOs pay Their Workers More? (with Henrik Cronqvist, Fredrik Heyman, Mattias Nilsson and Jonas Vlachos), Journal of Finance 64: 309-339, 2009. “Asymmetric Effects of Corruption on FDI. 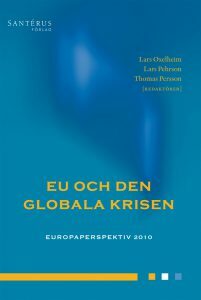 Evidence from Swedish Multinational Firms” (with Katariina Hakkala and Pehr-Johan Norbäck) Review of Economics and Statistics 90(4): 627–642, 2008. “Financial Markets, the Pattern of Specialization and Comparative advantage. Evidence from OECD Countries” (with Jonas Vlachos), European Economic Review 49:1, 113-144, 2005. “Markets for Risk and Openness to Trade: How are they Related?” (with Jonas Vlachos). Journal of International Economics 57(2): 369-395, 2002.